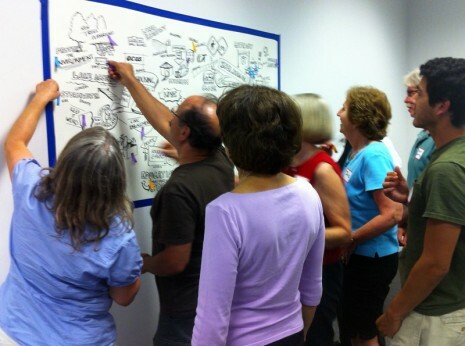 During community planning workshops we captured the collective brilliance that comes from an invested group of people. 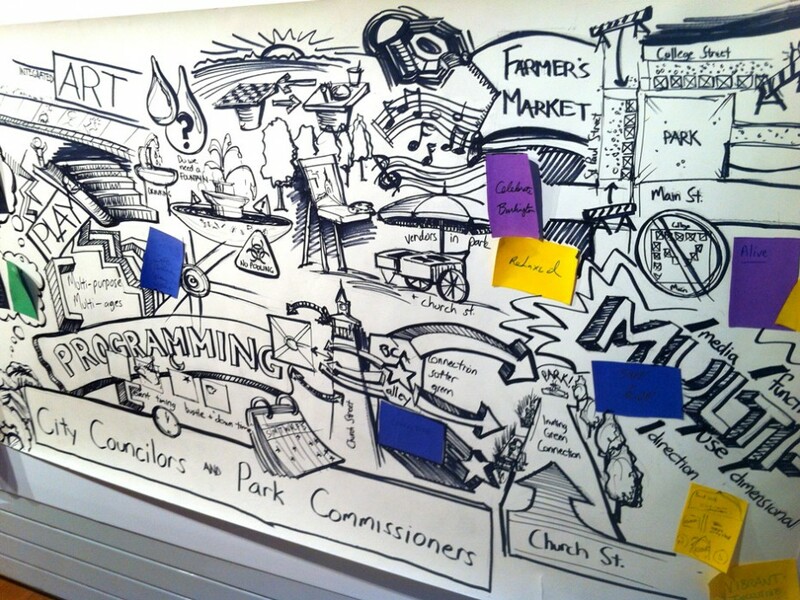 Our graphic recordings then helped inform the redesign of Burlington, Vermont’s preeminent multi-use green space. The results of the Imagine City Hall Park project will be a visionary 30-year master plan for the Park. 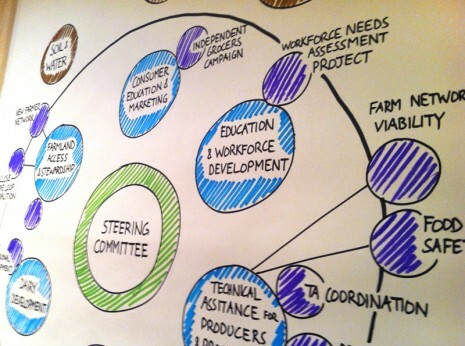 Community engagement was critical and we provided graphic facilitation to gather and record it. 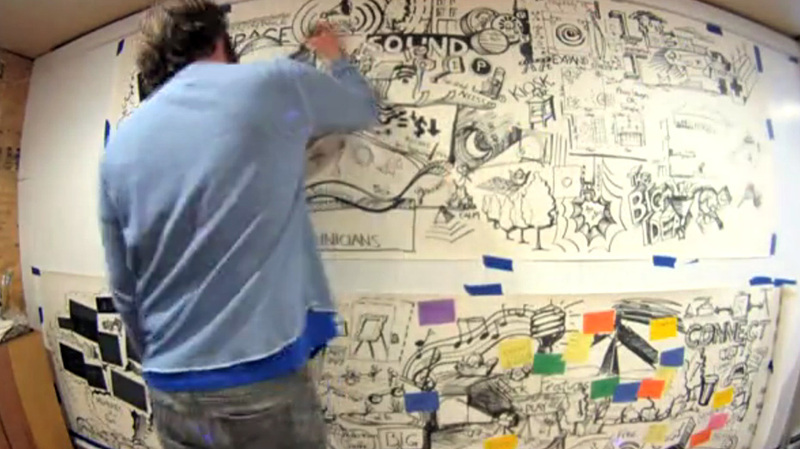 Then we refined the results in our studio to develop a series of murals. 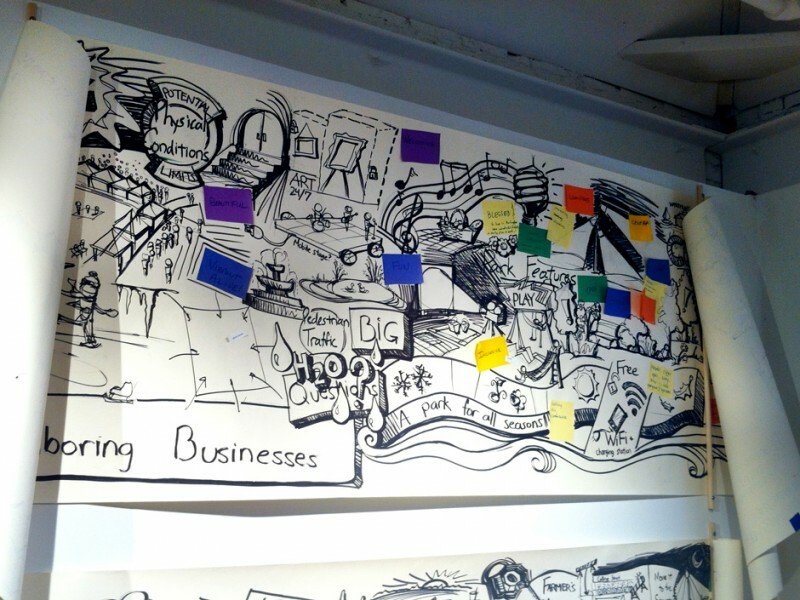 Graphic facilitation uses large scale live drawing and text to lead people toward a goal. 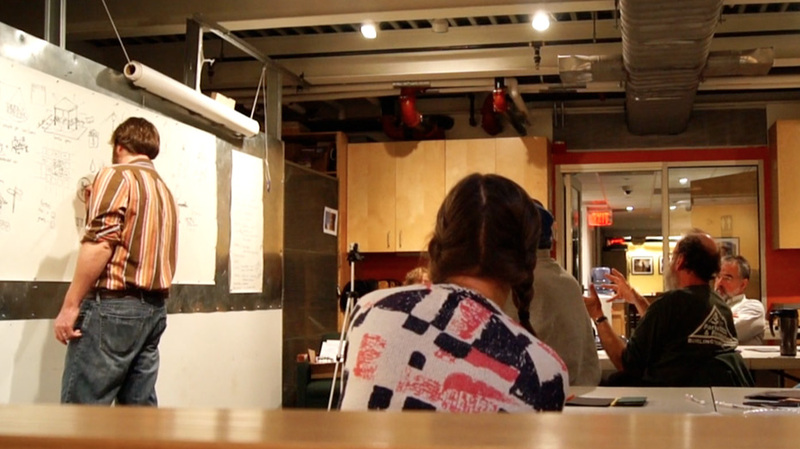 It’s a method that unleashes massive team spirit and creativity. 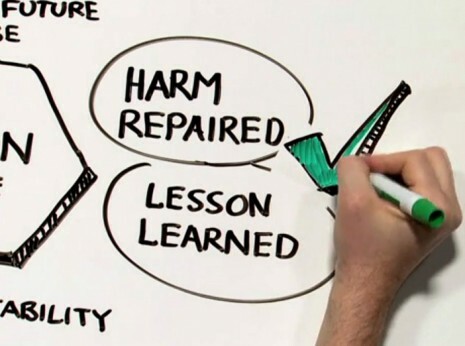 It can be used in places like meetings, seminars and conferences. 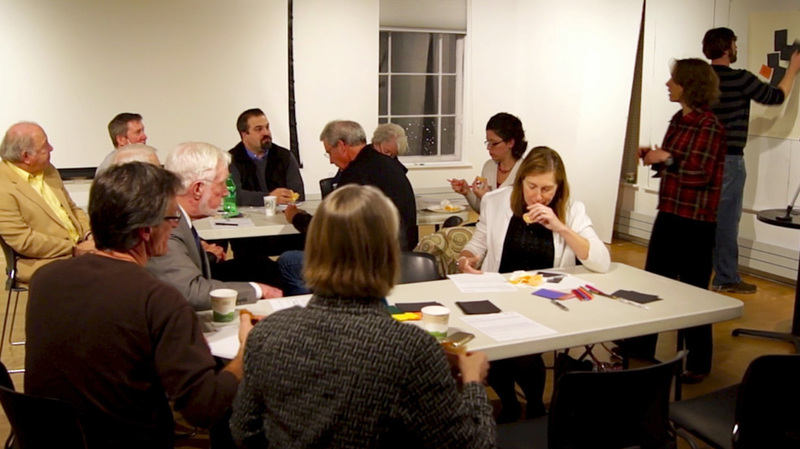 Project partner: The Grayson Group; Video edited the Grayson Group, original footage by Justin Gural. 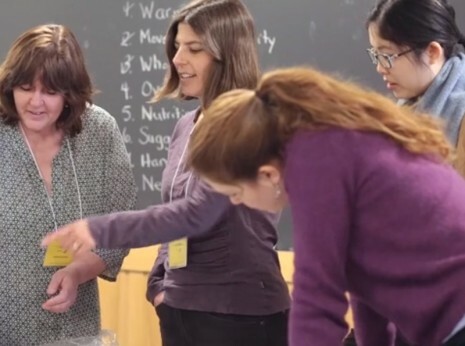 Read a testimonial from Sara Katz, BCA’s Assistant Director.